xHockeyProducts is a company founded by professional athletes, former NHL players, Bryce Salvador and Peter Ing. The site offers a wide range of passing aids all the way to shooting targets and everything in between. They create an interactive platform that challenges the players and helps them attain their full potential. With their products and services, they provide a full hockey experience – from your first steps on ice all the way to the NHL finals. When xHockey initially contacted us, they were looking for a company which could perform SEO audit. Since xHockey has stores in the US and Canada, it was essential to customise searches based on the country. They didn’t have in-house developers and the old site was running slow. While performing the SEO audit, we found more aspects that needed some work, so we proposed a makeover and gotten on to creating custom made solutions for our clients. 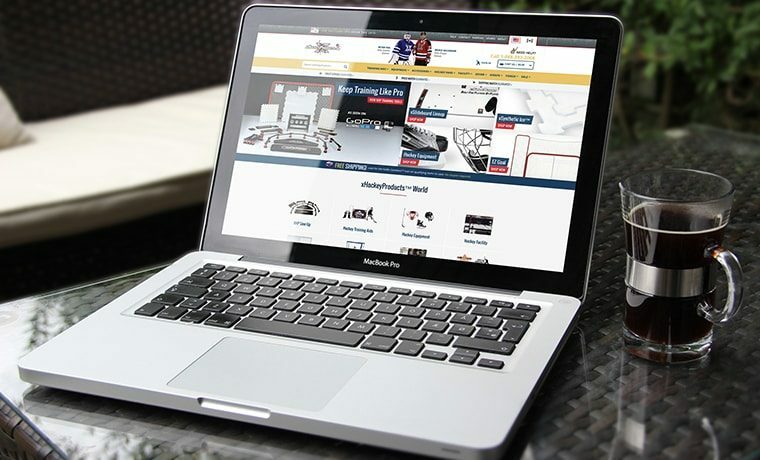 One of the most important things we worked on for xHockey is an integration of POS for physical stores with inventory manager for the online store which, in the end, serves to our client instead of ERP. Solution enables the management of inventory in multiple channels while seamlessly integrating with accounting solutions and the Magento platform. All of the aforementioned facts resulted in a more user friendly interface and all the redundant data getting eliminated. Furthermore, Magento by definition offers only one stock option. That wasn’t going to work in this situation because xHockey covers two different markets and every change had to be integrated with all the extensions on both sites. xHockey now successfully follows the trends, and both work and functionality of the site is improved with a number of various extensions. In order to increase SEO, we also made custom code to add complete microdata to product pages on our clients site. Also we made sure that search engines primarily show results from the more relevant country for the person searching. Because xHockey maintains a close relationship with it’s community, we incorporated a video blog to showcase some of the products. Those videos weren’t embeded via another site, instead every video was coded into the website. That way, a certain video can be assigned to a category page. Through a store locator, anyone visiting the site can find the physical store closest to them. We managed that with a geolocator. Working on this project is an incredible experience rewarded by incredible results!